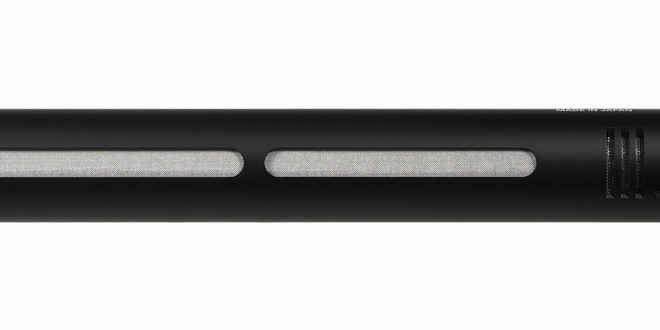 Audio-Technica unveiled a pair of new shotgun microphones from its Broadcast & Production series at IBC2018. The BP28 and BP28L combine exceptionally low-noise, large diaphragm condenser elements in shotgun models with extremely tight polar patterns, ideal for long-range sound recordings. 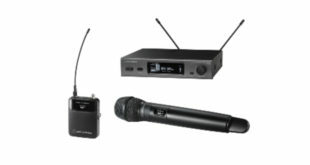 Alongside a range of other Audio-Technica broadcast microphones – used for the world’s biggest sporting events – the company will also be showing its latest 3000 Series and 5000 Series wireless systems at IBC. 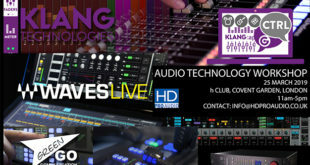 The flagship 5000 Series dual receiver offers the highest-quality wireless live sound, with Audio-Technica’s dual-compander circuitry that processes high and low frequencies separately and True Diversity operation. The receiver has been updated with a tuning bandwidth of 230 MHz: 470–700 MHz and users now have the option of selecting a standard receiver with two balanced XLR outputs (ATW-R5220) or a receiver that also includes a Dante output (ATW-R5220DAN). 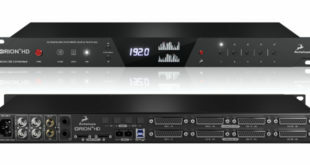 The full-rack receiver chassis holds two independent receivers and offers antenna power, frequency scan, IR sync functionality, a ground-lift switch and a front-panel headphone jack.